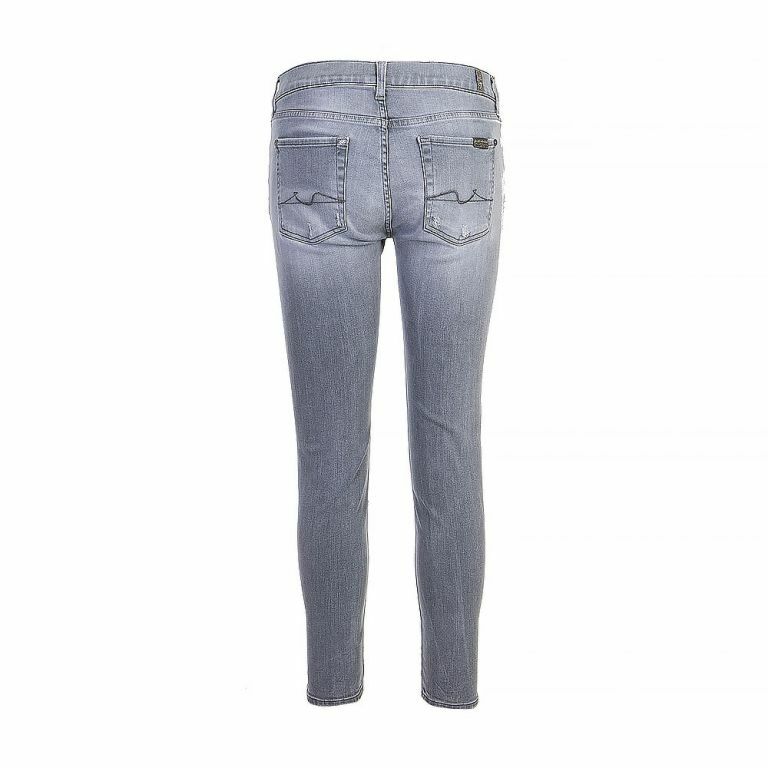 Size 25 – Pale grey high-waisted cropped jeans with distressed effect in places throughout, front button-up closure, three front pockets, two back pockets and tonal stitching. Often nicknamed as “Sevens,” the brand has become not only a household name, but a favourite among Hollywood elite, fashion editors and stylists. Our jeans have graced the bodies of notable female celebrities that include Emma Stone, Kim Kardashian, Jennifer Lawrence, Kristen Stewart, Jessica Alba, and Kate Bosworth. Male celebrity fans include Ashton Kutcher, Ryan Reynolds and Prince Harry.